Did this one earlier this year. Its quite the casting I must say! All paint…by hand. 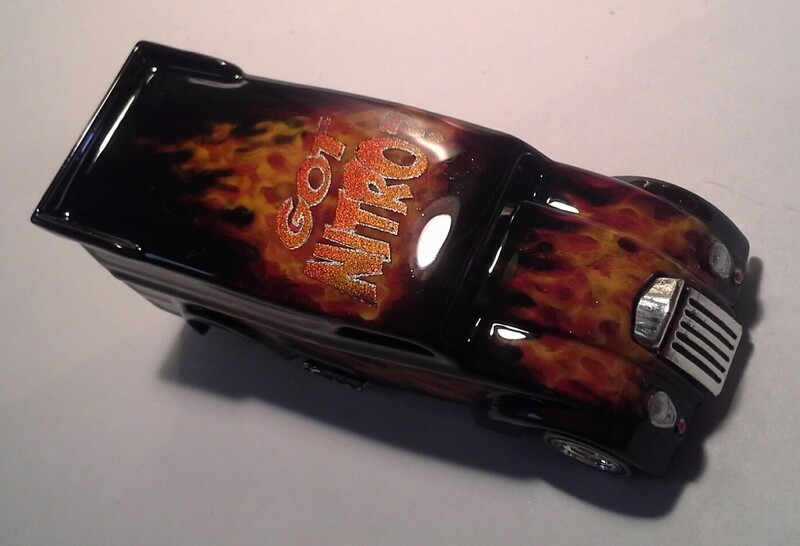 Airbrushed even the “got nitro” on top. Its got a really cool color change effect too. 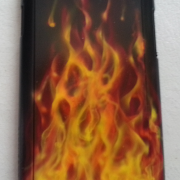 I lost count of how many layers of real fire went on this thing, but I can tell you it was a lot! New tires with yellow stripe sidewalls added. 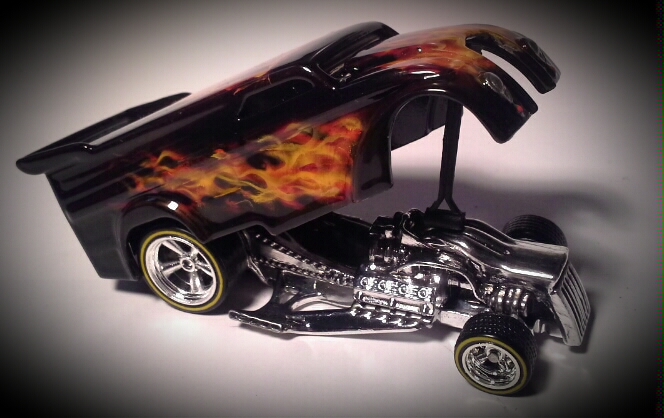 Also did a lot of black wash detail on chassis. Added a custom display case with nostalgic KB logo and mounted to case. One of one here and it has been adopted already but I thought you might enjoy a little look! 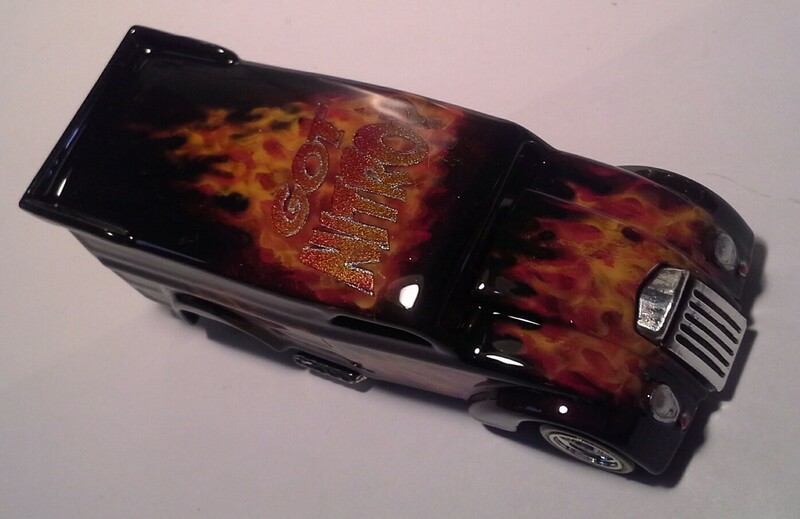 All airbrush (freehand and loose stencil) with Auto Air.and Wicked from Createx..clear was quickie intercoat..didnt have time to do a better type. 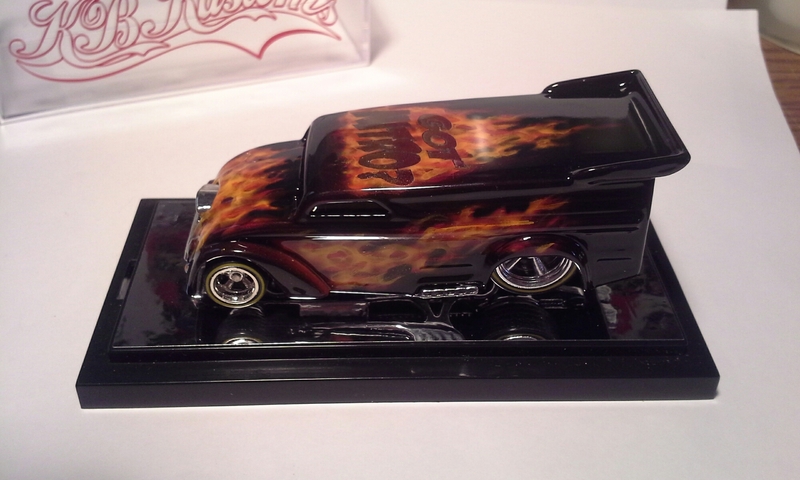 All airbrushed in three color layers…a quickie! 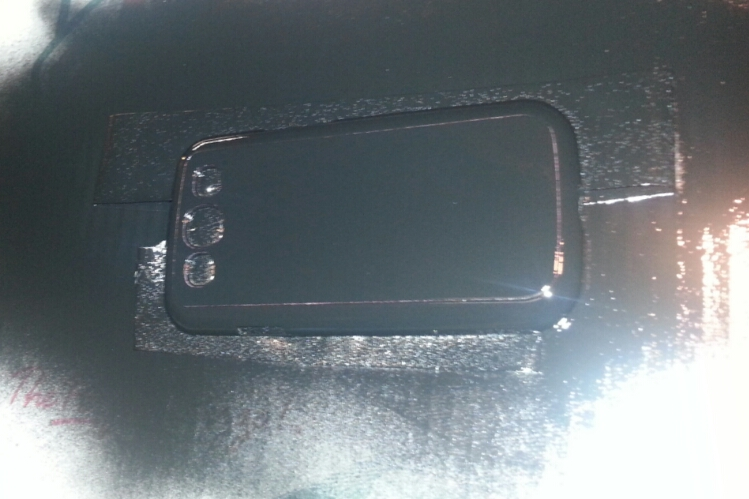 Cleaned, sanded, three coats of adhesion promoter. 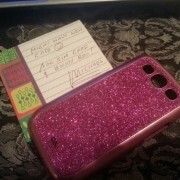 I could stand the pink glitter no more! 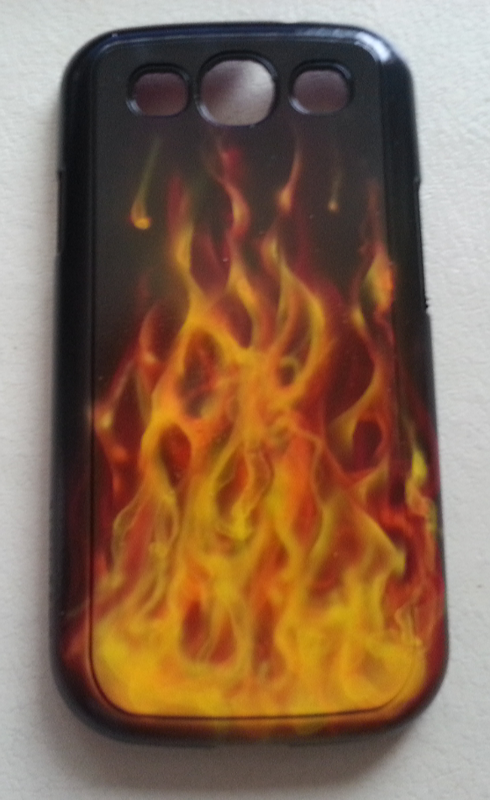 Recently..I dropped my phone and cracked the screen all to hell. Had that phone only three/four months and had just cancelled the insurance in prior month so I was out of luck. Well..not totally out of luck because I had a good friend who’s wife had just upgraded phones and had a spare galaxy s3…which was pretty much what I had except it was a s3 mini with cracked screen. So we made a deal and viola’…problem solved!! 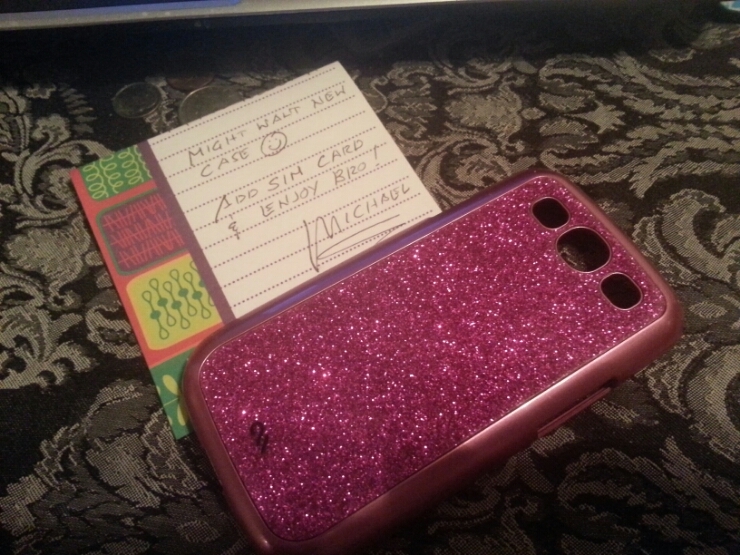 However..when the phone arrived..it had a bit of a girlish color for the protective case..lol. 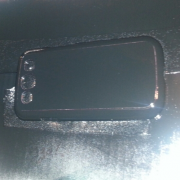 well of course that was tge least if my concern at the time…no big deal..but as time went on..I grew very tired if the pink flakes and finally risked the phone being half naked and repainted the case! 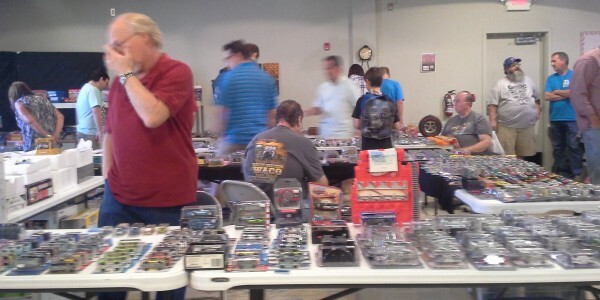 Greater OKC Hot Wheels -Labor Day Show!! Thanks for the compliments there Aaron!! I will be there with some cool customs and Hot Toy Cars decals so stop in…its a great place to feed your diecast hunger pangs!!! 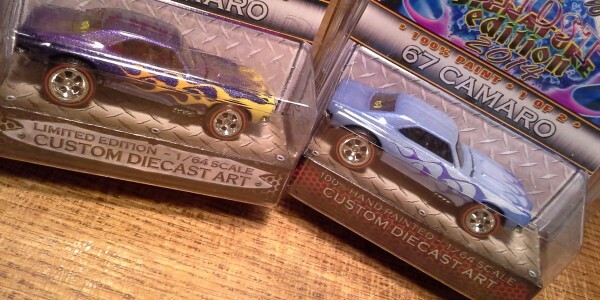 Cool stuff you likely wont see on the pegs at Walmart! WOW!! Don The Snake Prudhomme takes a WILD Blowover wreck in 1990. Just had to share! The Snakes wild ride at Sanair – YouTube. KBs Snakeskin Merc-Passion ONE of ONE! 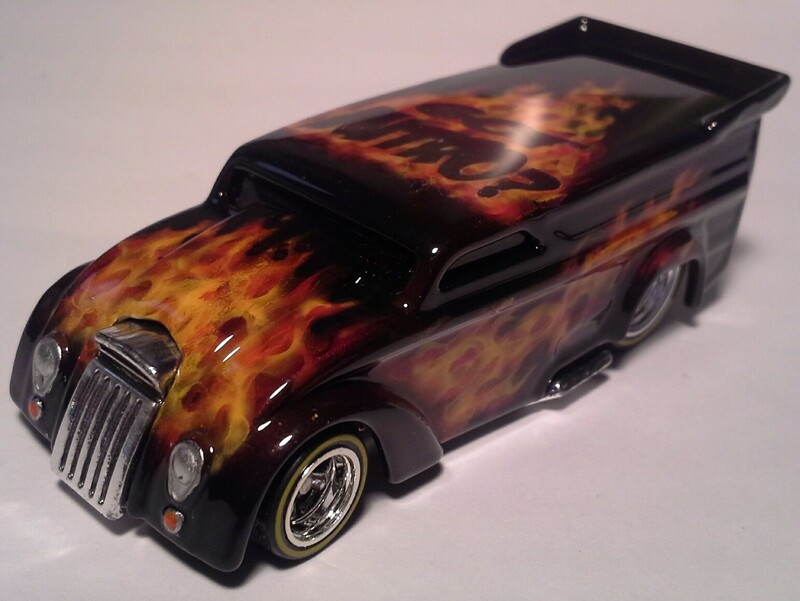 Heres a one of one from 2010, a Merc from Hot Wheels (well, ok they call it Purple Passion..lol) ..but…its definitely NOT “stock” nor is it picked fresh from the toy aisle pegs at your local WalMart! No my friends this one was heavily modified altho seeing the finished product is deceiving. There is the most obvious mod of the rear “bumper” removal and rolled pan effect while leaving the fenders at same length..kinda like extended “fins” or something! 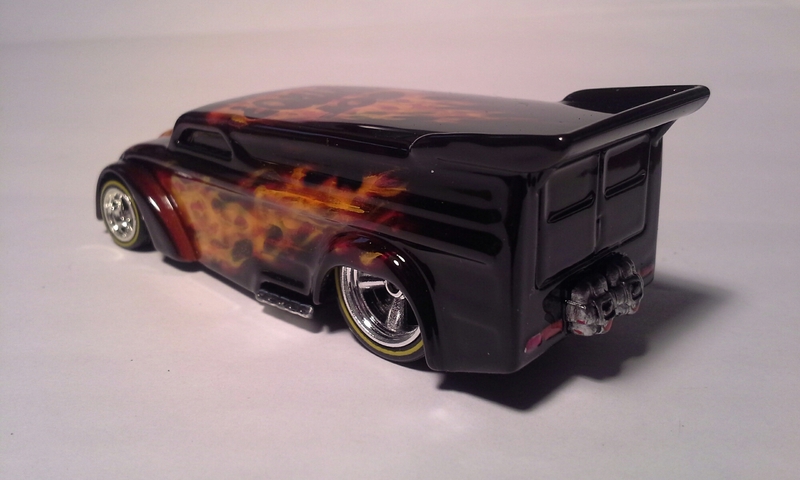 The inside is the big mod here, to get the lowered stance you see, while still being able to roll properly with the Johnny Lightning Chrome Baby Moon wheels and thin white wall tires, which are much taller than the original HW 5pk rollers. A lot of strategic removal of material in key areas of both the inner body and interior piece, plus leveling of the newly installed stainless steel sleeved axles…seriously…its a little tricky and time consuming! After all the body work and priming was completed, AutoAir Sealer Dark was applied and the topcoats then came along starting with a Black Pearl. 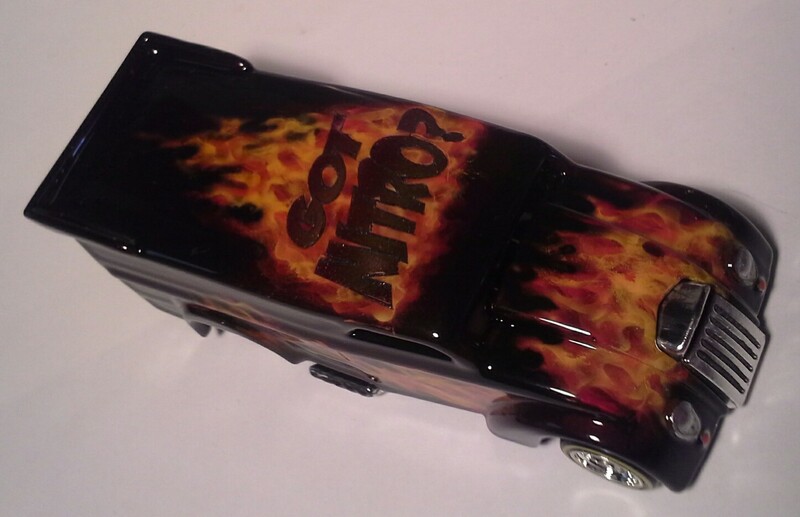 Next I added masking to the sides lower rear and around the top fender body line. 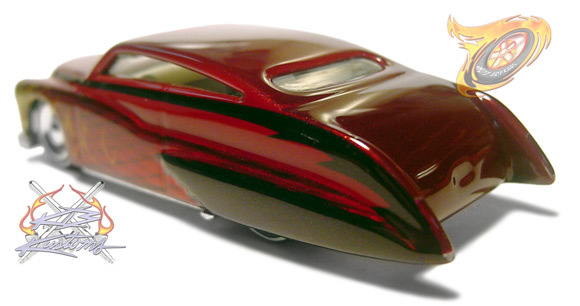 Then a mix of pearl Silver and Alclad Chrome was used to add the base for the candy red main color. 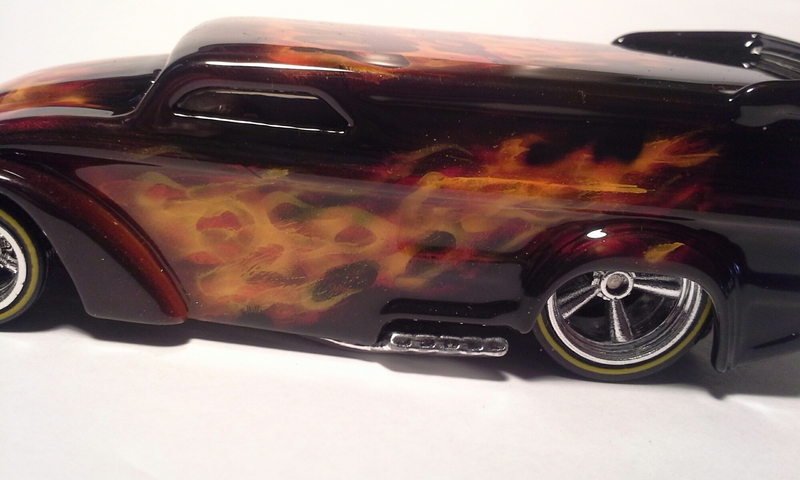 On the sides however, I used a special SnakeSkin stencil to get that scaled look. 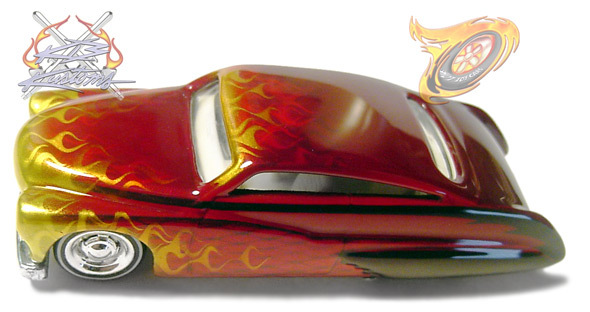 Several coats of candy red were applied after remving the side maskings and allowed to dry, then the Candy Pagan Gold flames were added in multiple layer style over the nose, top, and sides. Detailed Headlights, two color tail lights, grill black washed, and then automotive Urethane Clear was shot on and finally it was color sanded and hand polished for the final gloss look that rivals any real size show car! This One of One piece is one of my favorites from the past..hope you enjoy. Opening the doors ready or not! 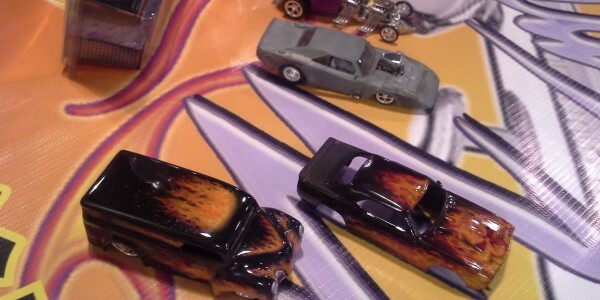 Ok. Its not exactly what wanted yet but I’m tired of postponing it because if this problem or another so good or bad…HotToyCars.com…is open to public! 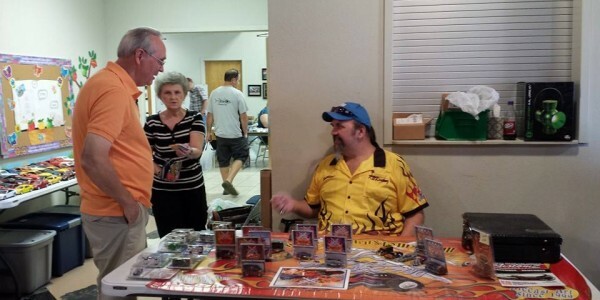 Check out the new store and I will be adding more posts as often as I can. Im really happy about our local clubs shows here in Oklahoma City..they just seem to get better and more fun each time they roll around! Its an early wake up call for us Night Owls, but well worth it! 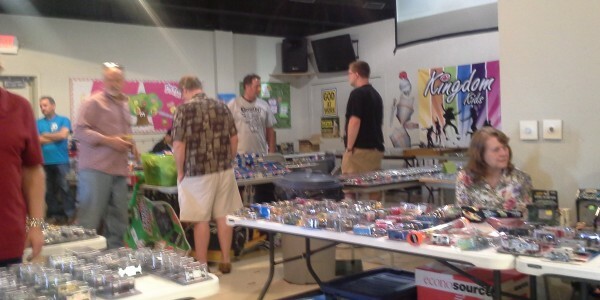 Below are a few pics of the show/sale on 7-26-14…this is about half of the vendor space as it spilled out well in the main hallway too. 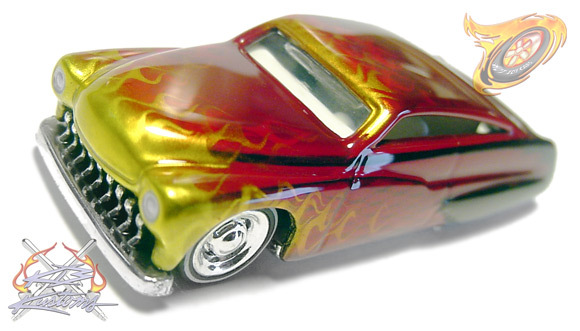 LOTS of great deals on great diecast from multiple brands. check them out on Facebook for the next show date. 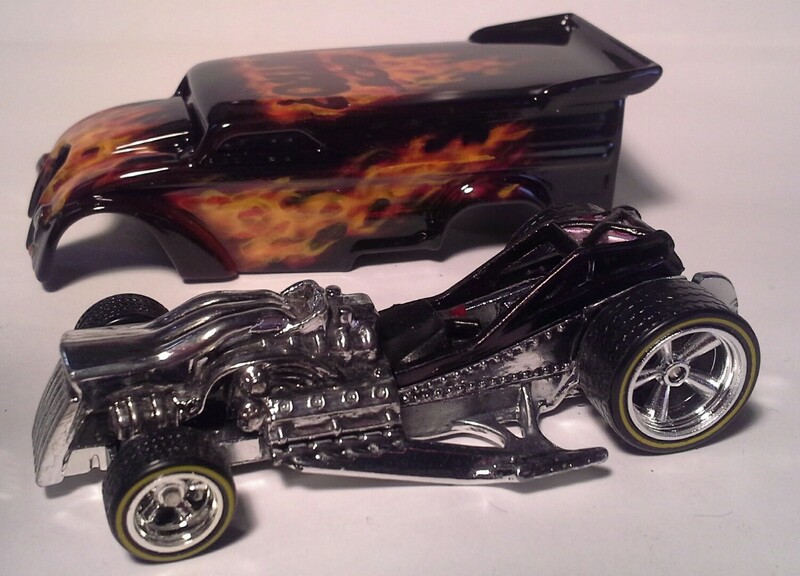 KBs GHOST Signature Series 67 Camaros!! 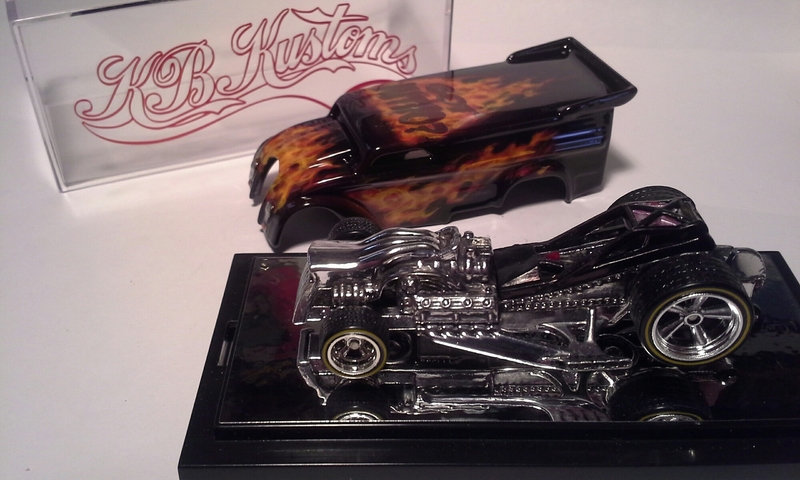 KB Kustoms GHOST Signature Series 67 Camaros! 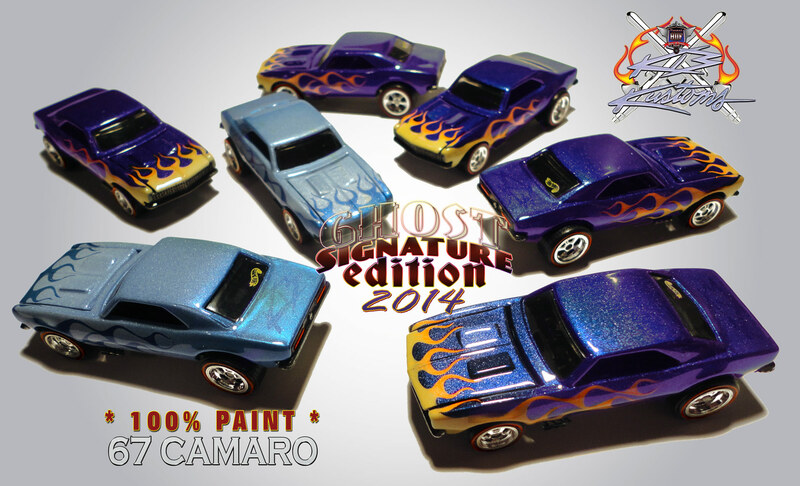 Here comes an extremely limited 100% PAINT Series of Hot Wheels 67 Camaro castings! KB logo GHOST Signature on all rear decks! Real Rider Redline tires on chrome mags. 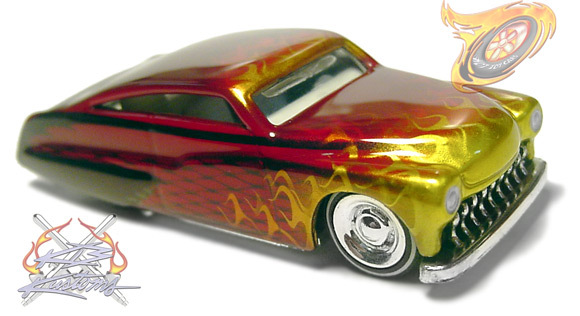 w/Yellow to Orange Pearl Custom mix flames!